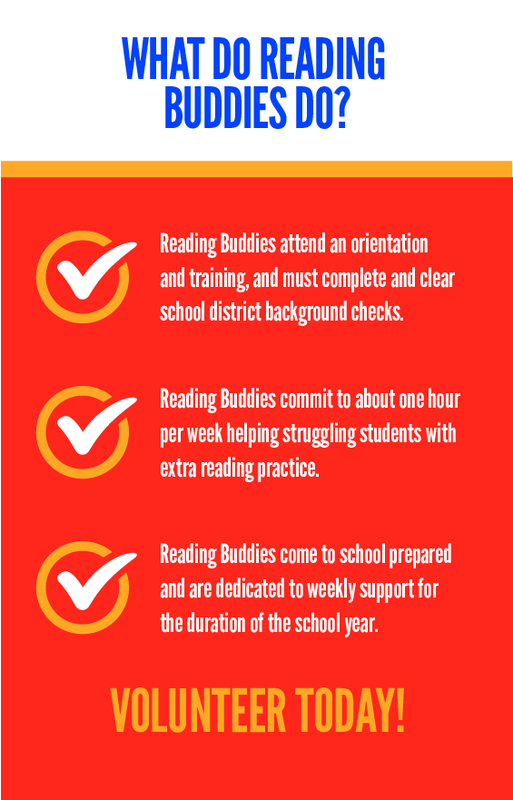 The Reading Buddy program has completed our volunteer recruitment and school placement for the 2018-2019 school year. 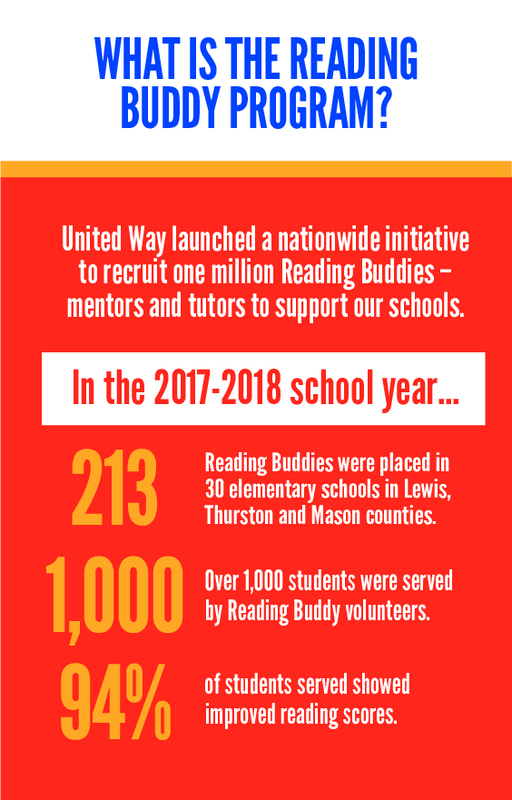 To sign up for next fall, email or call Jennifer Thompson, Reading Buddy Program Manager at jthompson@unitedway-thurston.org or 360-943-2773, ext. 121. Please include your name/phone/email and district/school preference. Thank you for your interest! Contact Jennifer Thompson at (360) 943-2773 ext 121 for more information.